The way users interact with SERPs is one of the most frequently discussed topics in the SEO community and is also a very important field of study for the search engine specialists. To answer the critical questions regarding click distribution on a SERP page, researchers employ so-called eye tracking experiments. In 2000, the Poynter Institute released their first study analyzing how users view online news websites. 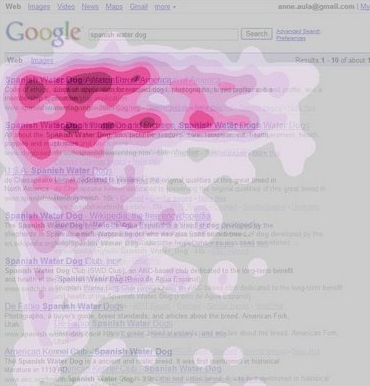 Yet, 7 years after eye-tracking made this first major impression on the usability and marketing industries, there still seems to be a lot of confusion over what eye-tracking data can actually tell you about how users interact with your site. Heatmaps are striking images, and very informative analysis tools. However, they are just the tip of the iceberg when performing a proper analysis of eye movement data. Enough technical-speak. You came here for an answer and I have one. Here is the SEO secret to generate good CTR (clicks) from your SERP position. Next story Should I buy that Domain Name from a Squatter?